The National Museum of Mongolia formerly the National Museum of Mongolian History is located in Ulaanbaatar. This museum is a cultural, scientific, and educational organization, which is responsible for the collection, conservation and interpretation of the objects under its curation. Exhibitions cover prehistory, pre-Mongol Empire history, Mongol Empire, Mongolia during Qing rule, ethnography and traditional life, and twentieth-century history. The ethnographic collection has significant displays of the traditional dress of various Mongolian ethnic groups and of snuff bottles. Most exhibits have labels in both Mongolian and English. The Winter Palace of the Bogd Khan is located in southern Ulaanbaatar, Mongolia, on the road to Zaisan. It is now a museum. 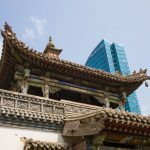 The palace is the only one left from originally four residences of the eighth Jebtsundamba Khutughtu, who was later proclaimed Bogd Khan, or emperor of Mongolia. Built between 1893 and 1903, the Chinese style complex includes six temples, each one of them contains Buddhist artwork, including sculpture and thangka. 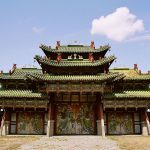 It is one of the few Mongolian historical attractions which have neither been destroyed by the Soviets or the Communist Mongolians. 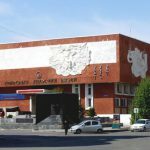 This fine-arts museum has a superb collection of paintings, carvings and sculptures, including many by the revered sculptor and artist Zanabazar. 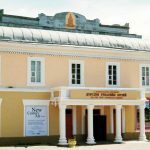 It also contains other rare religious exhibits such as scroll thangka (paintings) and Buddhist statues, representing the best display of its kind in Mongolia. A bonus is that most of the exhibit captions are in English, to go with a very comprehensive audio guide.